On a Tuesday evening way back at the start of June one of our referees, Feminist Killjoy, ran a special training session for GRR as part of the LEAP Festival Fortnight. Our rookie skaters learning more about actual gameplay from self-confessed roller derby geek, Feminist Killjoy. FK has been skating with GRD since 2013 and also works for LEAP Sports Scotland, whose mission is to break down the barriers preventing LGBTI people from participating in and excelling at sports. Every June, they organise the Festival Fortnight during which sports clubs across the country are invited to take part by running a taster session/quiz/film night etc. Equality and promoting roller derby sounded right up our street, so when FK offered to open up a GRR session to the public as part of the event, we were all over it! 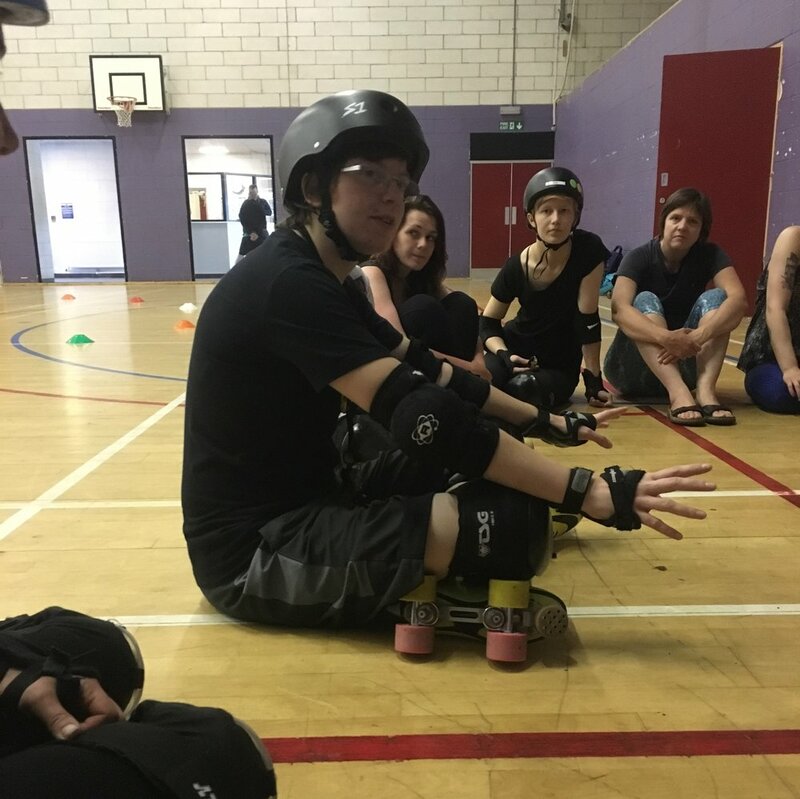 And GRR were in for an absolute treat, with Feminist Killjoy giving them a masterclass in roller derby rules and tactics, allowing them to see where the basic skating skills they'd been learning in isolation would fit into the game as a whole. The introduction of the sock derby section of the event also coincided with the gun show, apparently. To get involved in GRD, check out our website for more information and if you want to know more about the excellent work of LEAP Sports Scotland then their website is also full of useful information.